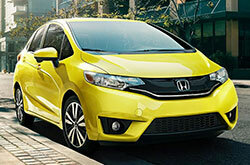 Praised for its roomy interior, versatile cargo space and impressive fuel economy by 2017 Honda Fit reviews, the five-passenger car is a standout in its class. Tech-thirsty buyers will love the car's standards too, which include Bluetooth, a 5-inch central display screen, USB port and more. Continue reading to find out what makes this car an ideal choice. When shopping for a 2017 Honda Fit in the Dallas area, you can choose from four trims: LX, EX, EX-L and EX-L with Navi. 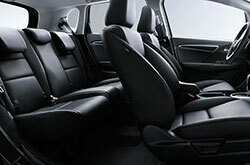 Aside from the excellent connectivity features noted above, the car also gets 15-inch steel wheels, LED brake lights, tilt/telescoping steering, full power accessories and a height-adjustable driver seat. EX trims add a 7-inch touchscreen display, two USB ports, a six-speaker sound system, a sunroof, 16-inch alloys and foglights. There's also keyless entry and ignition for extra convenience. Not surprisingly, the EX-L with Navi gets a navigation system (with voice recognition) along with HD and satellite radio. In terms of offering a fun driving experience, 2017 Honda Fit reviews say the hatchback doesn't disappoint. It employs a 130-horsepower 1.5-liter four-cylinder engine that delivers 114 pound-feet of torque. A continuously variable transmission (CVT) is standard on EX-L and EX-L with Navi models. The EX and LX get a standard six-speed automatic, while a CVT is optional. 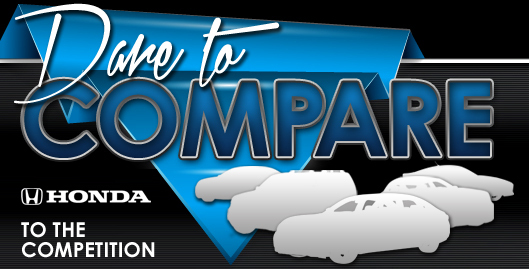 Try out both when you visit Vandergriff Honda for a test drive. The 2017 Honda Fit in Arlington is equipped with a rearview camera, antilock brakes, high-quality airbags, active head restraints, and stability and traction control. EX models and up add the LaneWatch blind-spot system, which includes a passenger-side mirror camera that makes it easier to see other vehicles when switching lanes. 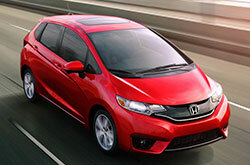 For additional details about the Fit's offerings, please stop by Vandergriff Honda to see it in person! When shopping for new vehicles in the Dallas metro area, you may have seen the 2017 Chevy Sonic, Kia Rio, Ford Fiesta and the Toyota Yaris, but the 2017 Honda Fit is also a fabulous option. Its chic looks and easy-to-use cabin amenities may transcend your expectations and meet your needs. Take advantage of data included in our report to see if 2017 Honda Fit is a good match for you; and if you decide it is, take a look at exclusive dealership incentives offered at Vandergriff Honda. 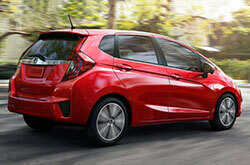 Interested in a Honda Fit and looking for great incentives? Then visit us right away! We hope the information in our 2017 Honda Fit review will be invaluable when you make your eventual purchase decision. Track down the stately Honda Fit at Vandergriff Honda, where you can appreciate a test drive and view the model for yourself. Look at our video to take a peek at its polished design preceding your visit.